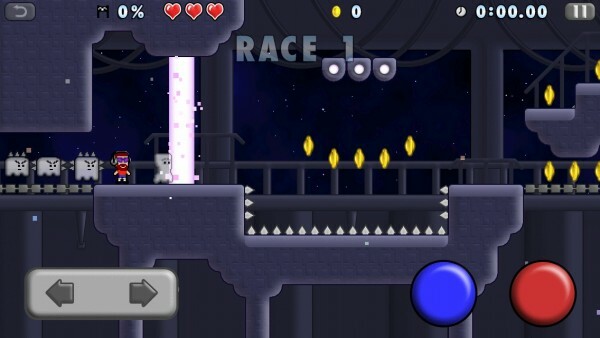 Mikey Hooks ($1.99) by BeaverTap Games, LLC is the sequel to the last year’s hit retro platformer, Mikey Shorts. If you are a fan of platformers, then this is a game that you don’t want to miss. If there’s one game that I absolutely loved last year, it was definitely Mikey Shorts. 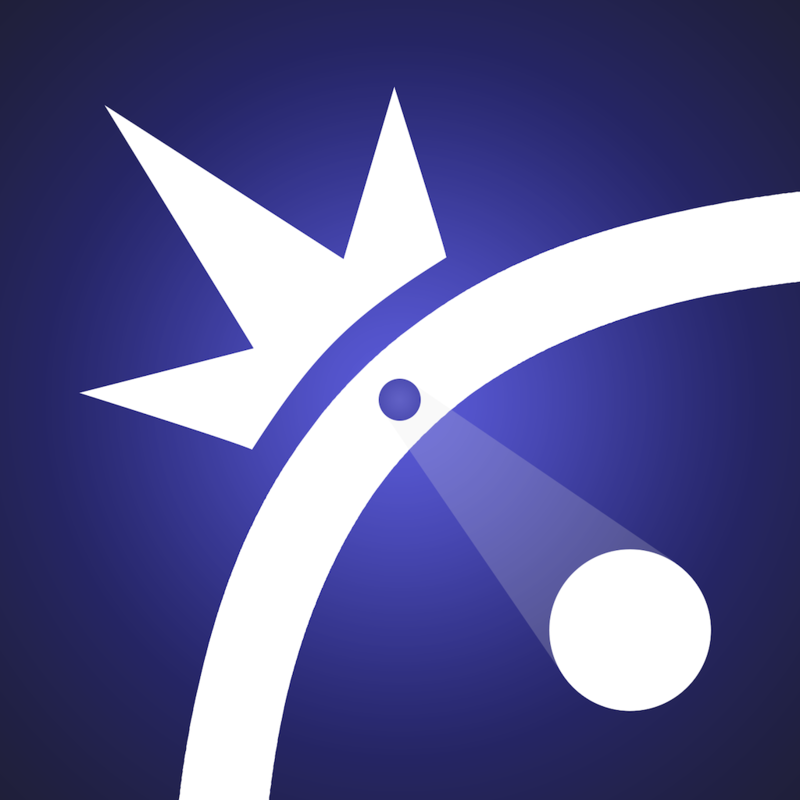 In fact, our entire staff fell in love with it, and we even named it as one of our Top 10 iPhone Apps of 2012. So when I first heard a while back that Mikey Shorts was getting a sequel, I was ecstatic. And now it’s finally here. 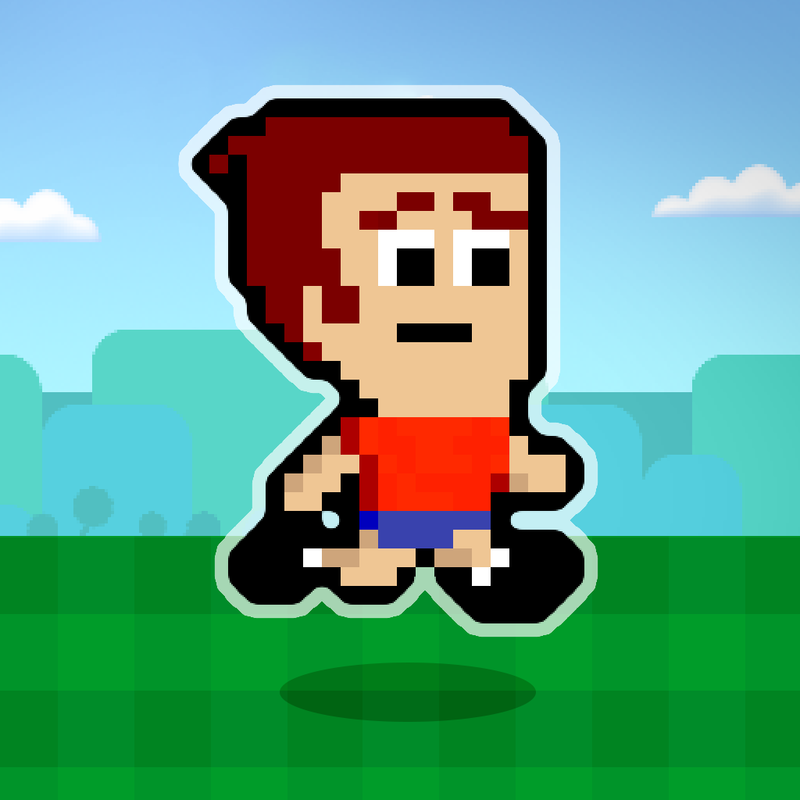 Like the original game, Mikey Hooks features beautiful 16-bit graphics that are colorful, lush, and crisp on Retina screens. The animations are just as smooth as I remember them, with no lag or choppiness — this is what platformers should be all about. The soundtrack may also not be chiptunes, but it has the same vintage feel from the original games, and I really enjoy it. When you combine the visuals and music, Mikey Hooks is quite a delightful package, and I couldn’t be happier. 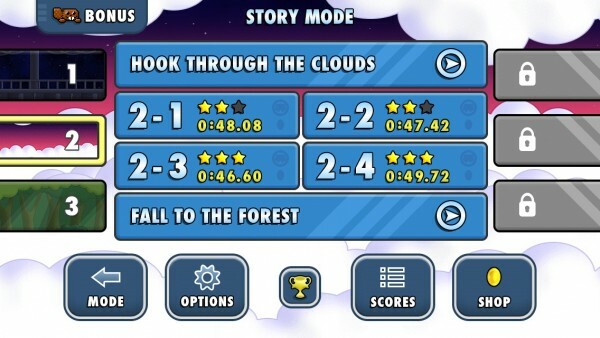 There are two game modes in Mikey Hooks, just like the previous game: Story and Race. 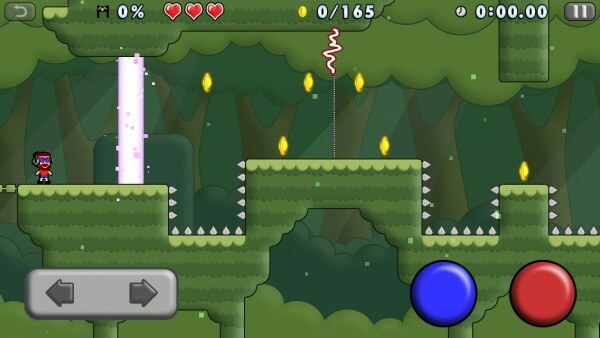 In Story Mode, you will go through six different environments, with around six levels in each. Your goal is to get from the starting point to the end of the level is as little time as possible — this is still a speed platformer. The faster you finish, the more stars you receive. 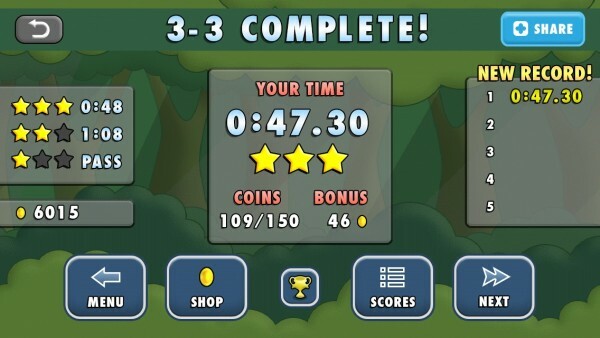 If you can successfully gather all of the coins as well, you will earn a bonus. 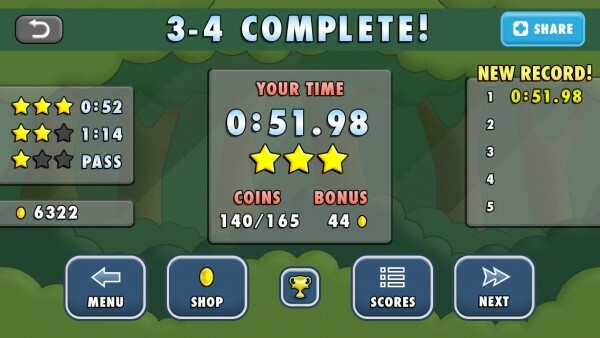 With the swinging action, it definitely helps to shave off seconds from your completion time, which is great. 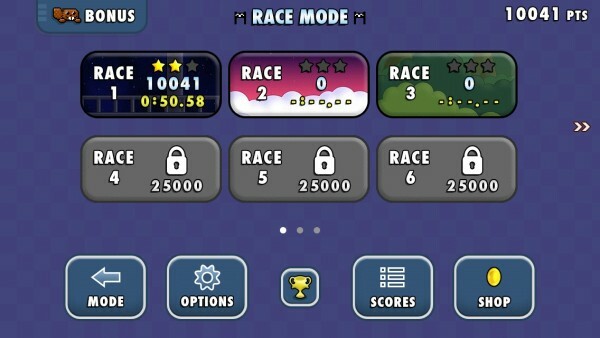 Race Mode is new, and a fantastic new addition. This was not in Mikey Shorts, and so far, I have to admit that it’s a welcome challenge. Here, you will be racing against four ghosts to see who can traverse through the terrain and reach the finish line first. If you think Story can be too easy, then this will be a nice diversion. 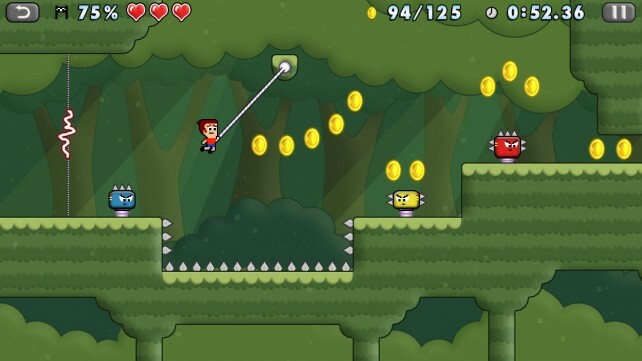 For what it’s worth, Mikey Hooks feels very much like its predecessor, in the fact that it feels natural to swing from platform to platform with a grappling hook. I’m actually quite surprised that this wasn’t even implemented in the first game, but then we probably wouldn’t have this awesome little sequel. The controls are as responsive as ever, with the directional buttons in the bottom left and the slide and jump on the right. 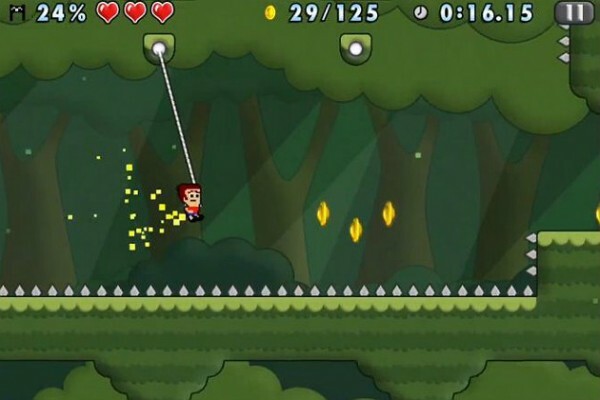 When you are near the swinging spots by jumping, Mikey will automatically use his hook to attach to it and swing across, so I love the fact that there was no need for an additional button. It just feels so natural that, if you already have had experience with Mikey Shorts, then there is absolutely no new learning curve whatsoever. And the controls, once again, set an example for all other platformer games. If the default settings don’t work for you, the game does give players the option to customize the button positions. Now, adding a grappling hook isn’t all that they changed. 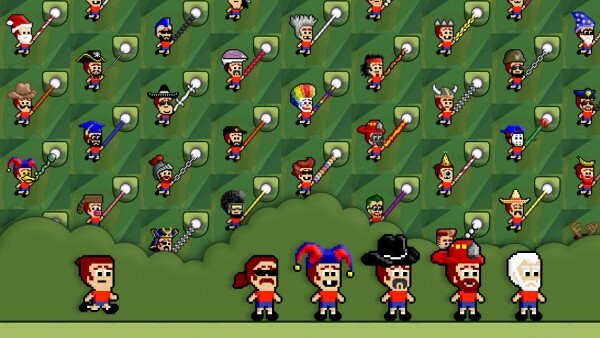 The enemies have also been upgraded, now with spikes on either the sides or the top, and sometimes on all sides. You can still slide into the ones with top spikes, but the side spike baddies will hurt you, along with touching any spike zones, electric sliders, and other obstacles that get in your way. 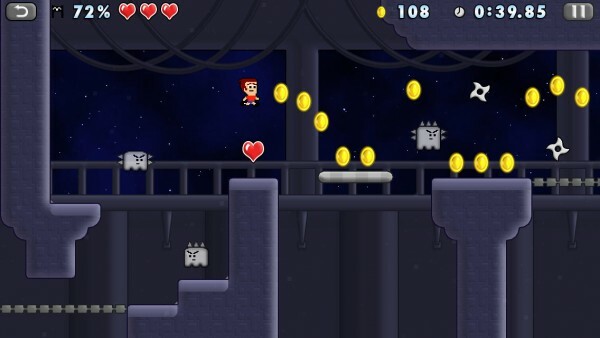 Touching any dangers will make you lose one of three hearts, but you can recover hearts with the power-ups that are scattered along the level. There will be coins scattered everywhere on levels, and while it’s not necessary to collect them all, you do get bonuses if you do. 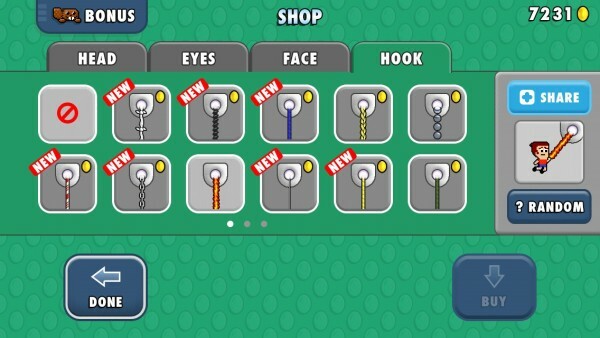 These coins are also used in the shop to purchase various headpieces, eyes, and faces, just like the original Mikey Shorts. However, as this game makes use of grappling hooks, there is now the addition of various hook styles and colors to choose from. Acquiring coins in the game is quite easy, especially if you continue playing (and you probably will once buying it), so getting all of the items will probably take little time. 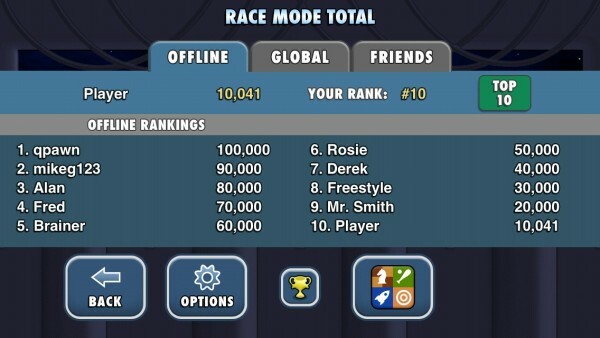 There is also full Game Center integration for leaderboards and achievements. If you’re the competitive player, then you should be incredibly pleased, as there are 25 leaderboards and 32 achievements to obtain. Added with the incredible replay value, there is plenty of bang for your buck. 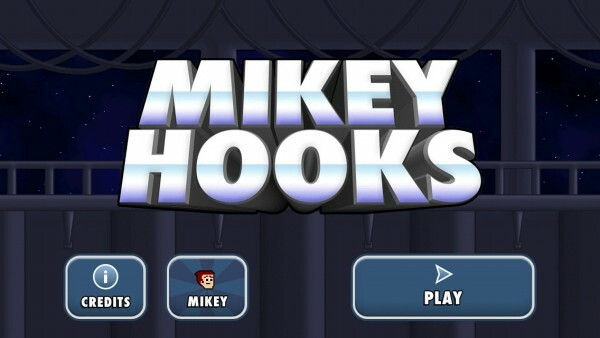 Mikey Hooks is a game that I’ve been looking forward to for quite some time now, and I am not disappointed. I love that it retains the same visual style, music, controls, challenging speed run levels, but adds a new game mode, enemies and obstacles, and makes the hooking element feel like a natural extension of the original. This is without a doubt one of my favorite game releases of the year so far, up there with Pivvot. So what are you waiting for? 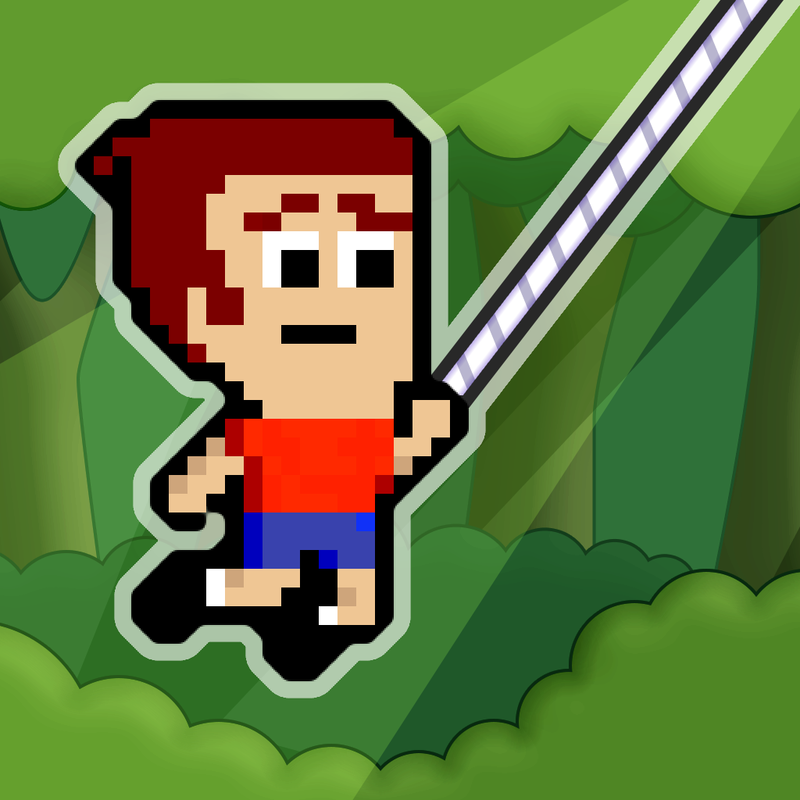 Swing on over to the App Store and grab Mikey Hooks in the App Store as a universal download for $1.99. 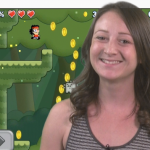 To see Mikey Hooks in action, check out our AppAdvice Daily episode below. Can’t view the video? Check it out here.